Bournemouth striker Josh King, who despite his English sounding name, is Norwegian – will take on Spain and Sergio Ramos in a friendly tomorrow evening. As a result, the forward gave an interview to Norwegian outlet tv2, about this thoughts of facing the man who in their words is ‘the best centre-back in the world’. King though disagreed – telling them in no uncertain terms that Virgil van Dijk is stronger and better, shrugging off Ramos’s fear-factor. – Have you met any players who have been stronger than you? – He’s the only one. Van Djik is the strongest and best I have ever met. 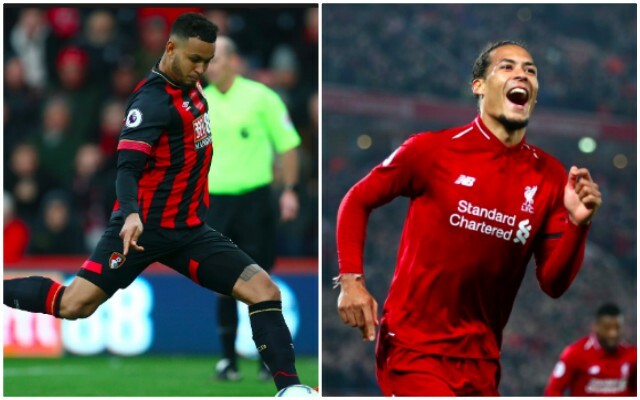 We actually can’t think of a single Premier League forward who hasn’t waxed lyrical about van Dijk this season when asked about the Dutchman. Troy Deeney of Watford has made a habit of it, in fact! We’re not going to make an argument for why he’s the best on the planet, because it’s too startlingly obvious. This season, nobody comes close, especially Ramos, whose Real Madrid side have imploded. Many blindly state that you need trophies to be considered elite, and we really hope Liverpool can at least silence these doubters come the summer. We’re in a genuine fight for the Premier League and the Champions League – and couldn’t be more excited.